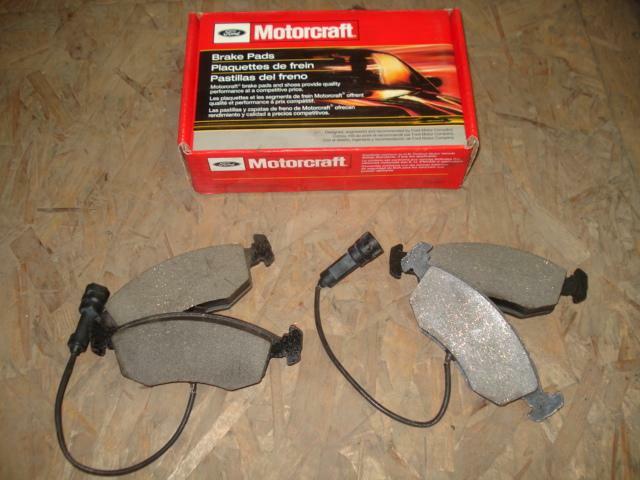 New front brake pads with wear sensor wires by Motorcraft. Will fit all year XRs and all year Scorpios fronts. One box has enough front brake pads to do both front brakes of one car.